Yay Jules!! Thanks for sharing and I think your perm is divine!! You look like a definite 80's soap star! WAKE ME UP BEFORE YOU GO GO! I JUST LOVE IT! YOU WERE GORGEOUS THEN & STILL ARE NOW! Check you out Jules! You look fabulous! 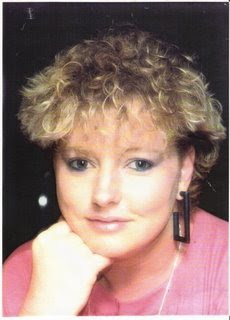 Oh my, I need to find a perm photo!! yours looks soooo much better than mine did! I was the perm queen in those days!